With the special geographical condition – no sea or ocean, Laotian life is now relying much on rivers which is their main resource for fishing and boating. 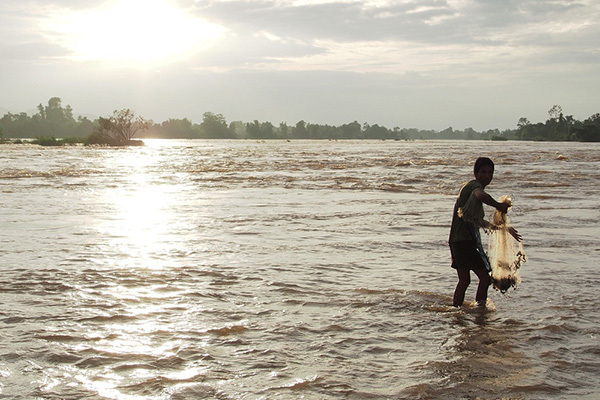 Rivers play a very important role in Laotian daily life, transportation, and tourism. 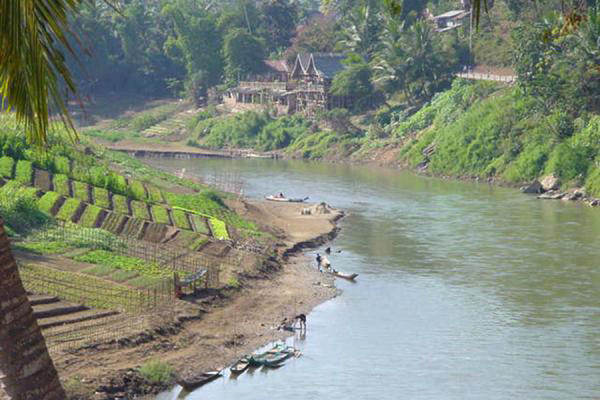 We will take a look at the longest river in Laos, Mekong River (the mainstream) and three other smaller rivers which also strongly affect Laotian daily life: Nam Ngum, Nam Song and Nam Ou River. Mekong River should be the first river mentioned in this article since it is the second richest aquatic biodiversity river in the world and is only behind the richest, Amazon River. This river begins from China and then flow into Myanmar, Laos, Thailand, Cambodia and the final stop is Vietnam, from there it will flow into the ocean. The Mekong is known as English name depriving of Vietnamese, but actually, Laos’ name of this river is different “Mae Nam Khong”. “Mae Nam” (mother of river) is what Laotian calls a big river, so “Khong” can be considered as its name. Therefore, in some cases, you can notice that people also call it “Khong River”. It can be understood as “Mekong River” with no difference in meaning. For a country with no coastline like Laos, the presence of Mekong River is a great honor. In both sides of the bank, the main job of locals is fishing, which also creates the main supply of seafood in Laos. Laos is in the lower basin of Mekong River where major tributary systems develop, which brings fertile for the surrounding area. Heat and humidity are the main characters that we see in Laotian weather, but luckily, this gift from nature has encouraged them to develop and maintain the tradition of agriculture, a distinctive point in Laotian Lifestyle. There are many means of transportation in Laos from the car, airplane, tuk-tuk, bicycle, etc. one thing which is most preferable, especially in tourism is a waterway. 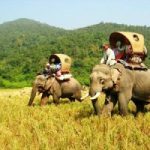 Mekong River flows from the Northern part to the Southern Part give us an opportunity to enjoy all the scenery along two sides of the river slowly and not be in a hurry. The decision is up to you from various options such as a slow boat, speed boat, long-tail boat, traditional boat, etc. Each of them will give you a different feeling about Mekong River. 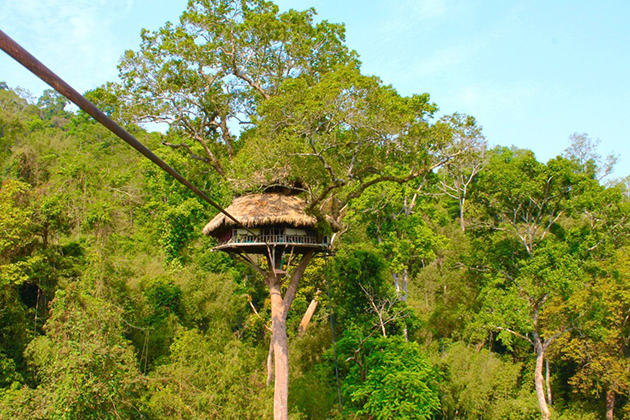 Be ready and take Eyes on the Mekong! One of the beautiful scenery has been created by Mekong River is Si Phan Don, 4000 thousand islands in Champasak Province, Southern Laos. Half of these islands will be submerged when Mekong River is in flood. What a surprise! Right now, this area is attracting many tourists to come and considered as picturesque sites. 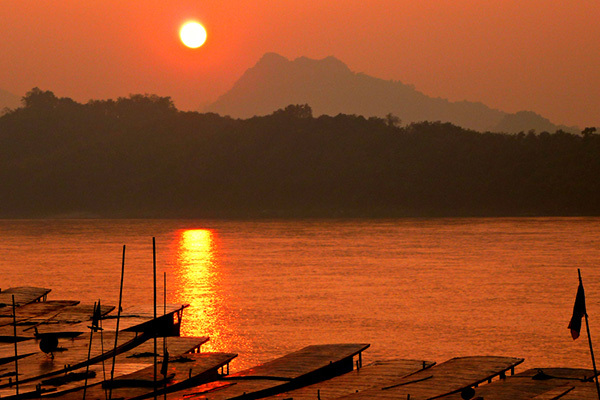 Sunset is another thing that you won’t want to miss on Mekong River. In modern life, the development of high and giant building has made people forget about all the natural beauty around. Therefore, this chance to witness the moment the sun going down is extremely precious and valuable. 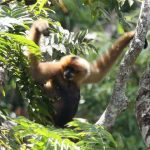 There is no suspicion about Biodiversity in Mekong Area. This area has proven to deserve this title. Besides the fact that there are over 20000 species of plants, 1200 different kinds of bird, over 1300 species of fish, Mekong River in Laos also the house of the rare Irrawaddy dolphins in 4000 thousand island area. If you are lucky enough, you definitely see it when visiting this area. Nam Ngum is one of the major tributaries of Mekong River, located in the northern part of Laos which is a mountainous area in Xiangkhoang Province. This river starts from the north and flows to the south through Vientiane where it joins the Mekong River. Along with this river’s basin, there are houses of 1 million people. 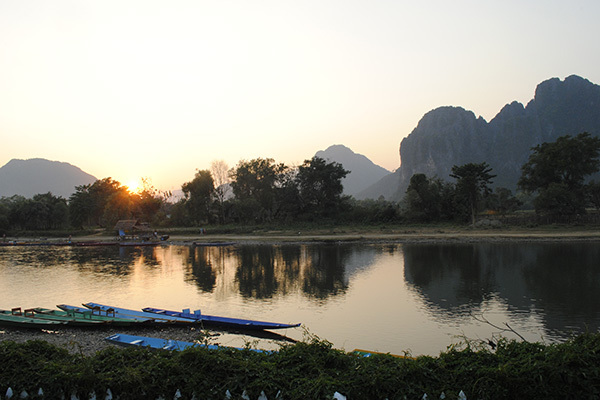 Nam Song is just a small river flow through Vang Vieng but has increased its popularity with tourists recently. On Nam Song River, kayaking downstream is a special activity which is suitable for whom want to explore for karst rock formation along two sides of the river. The meaning of “Nam Ou” is Rice Bowl River, how interesting! Its position is also very important in Laos Waterway as the only natural area suitable for large draft boat transportation together with Mekong River. The river is also famous for its Pak Ou (means “Mouth of the Ou River”) The cave is 25km to the north of Luang Prabang and is one of the most well-known sites to visit. Inside the cave, there are hundreds of miniature Buddha sculptures in various activities and positions. Once again, here comes another major tributary into Mekong River, this river goes through Luang Prabang. Especially, on Nam Khan River, boat racing is extremely popular with locals. Boun Souang Heua (Boat Racing Festival) is a yearly Laos’ festival in August in order to honor the water Nagas, the spiritual which helps protect Laos.